Notes Relive the fun and excitement of a Jewish wedding. 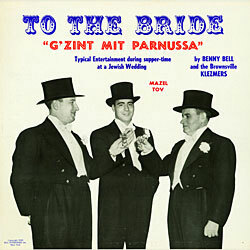 This album highlights music that you could hear at the typical Jewish wedding of times gone by. Some of the instrumentals are so enduring, however, that they could be part of a modern Jewish wedding. Sit back, relax, and enjoy the music and humor that are typically Benny Bell's.